Early maturing, proven well for indoors or open fileds cultivation. 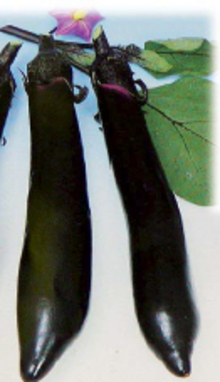 Oblong slender, soft black fruit, weight of 200g, lenght 25-28cm. Vigorous up-right growing habit, high yielding. Copyright (C) 2013 YAE NOGEI CO.,LTD. All Rights Reserved.